An Islamic State affiliate in Egypt has kidnapped a Croatian citizen working for a French company. In a video released online, the jihadists are threatening to kill him if Muslim women kept in Egyptian prisons are not released. The hostage was identified as Tomislav Salopek, 30, from Croatia. He is employed by Ardiseis Egypt, a subdivision of CGG, a company specializing in oil and gas geology, and based in France. In the video titled ‘A message to the Egyptian government’, a masked man with a knife is seen standing near kneeling Salopek, who is dressed in an orange jumpsuit. 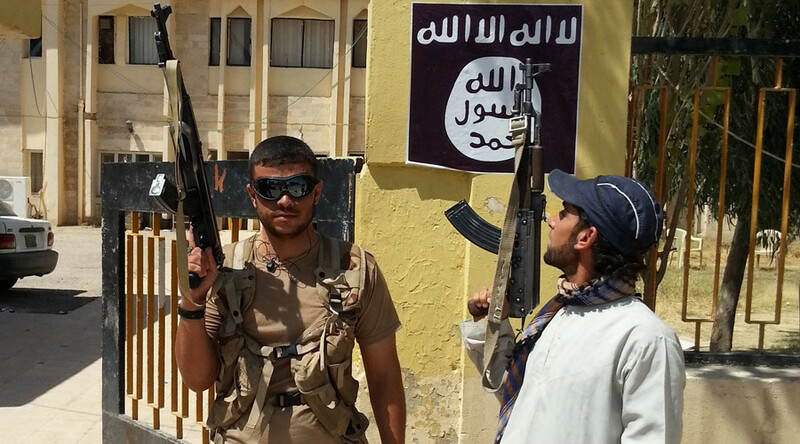 The black flag of Islamic State (IS, formerly ISIS/SIL) is clearly seen in the video. Salopek is heard reading a note where he names himself, states his age, country and place of work. He says that he is married and has two children. The Croatian says he was captured on Wednesday, July 22, 2015. The jihadists have already voiced their demands – they want to "substitute" Salopek for the Muslim women kept in Egyptian prisons, says the hostage. The deal should be made “before 48 hours from now [Wednesday]”, said Salopek, adding that if the agreement fails the jihadists will kill him. The Croatian in his note names the group which allegedly kidnaped him - Sinai Province (or Wilayat al-Sina), previously known as Ansar Bait al-Maqdis, which swore allegiance to IS back in November 2014. Now they call themselves “an official province” of IS in Egypt. The Sinai province in Egypt's remote desert region, which borders the Gaza Strip, Israel and the Suez Canal, has been facing an Islamist insurgency which has claimed the lives of hundreds of security officers in the region. Earlier on Wednesday Ardiseis Egypt announced on its website that one of its employees has been taken hostage on July 22 while on trip to Cairo. "Ardiseis Egypt acknowledges that he is the hostage appearing on the video released today [on Wednesday] by the Sinai Province of Islamic State," the firm said in a statement as cited by Reuters. The Croatian Foreign Ministry released a statement saying it’s doing everything possible to resolve “this difficult situation” and that "Croatia's Foreign Minister Vesna Pusic will, following consultations with her Egyptian counterpart, travel to Cairo." Since 2014 IS has staged mass executions of Syrian, Iraqi and Afghan soldiers. It also killed several people from Western countries, including US journalists James Foley and Steven Sotloff, British aid workers David Haines and Alan Henning, as well as US humanitarian worker Peter Kassig. Japanese journalists Haruna Yukawa and Kenji Goto were also executed by the militants.